View Cart "Full Circle" was successfully added to your cart. Riya seems to have lost everything—the man she loves to another woman, her husband to death and her soul to fear. Can she confront the nightmares of her past and dream of a better future? Riya seems to have lost everything—the man she loves to another woman, her husband to death and her soul to fear. When she finally realizes her dream of opening an art gallery, however, things begin to look up. On the one hand, she is working closely with the handsome artist, Rehaan. On the other, her first love Ryan comes back into her life, and the other woman is out of the picture. But can she move on from her past, or will its long fingers cast a shadow on everything she does? I just completed reading canvas… I really enjoyed reading it. It is a well-spun tale with all emotions and I cried, felt happy, scared, and longed to see both together hugging tightly kissing all over again n again. I finished the book with a grin on my face which my daughter noticed, and asked me as to why I was smiling and blushing. But I completed this book in one go, it was irresistible and I could not keep it aside till the end. Definitely a well-knitted story with fine yet easily understood language. Short and sweet, I loved reading the book and look forth to many more such fine stories. These lines sum up the powerful Riya who is strong woman drenched in love for art and sculpting. She has been trying hard to keep her relationships pure and serene but fate has something else in mind. Even after giving 100% to men in her life be it her childhood love Ryan or sid her brutal doubting husband who tries to crush her dreams and reduces her to be a mere puppet or the cynical Rehaan who despite having similar taste is a complete MCP. She keeps shuttling between these 3 men through unexpected encounters and her nightmares only to find bliss in atleast one of them. Jaya your maiden effort kept me hooked on this novella. This book is recommened to all who believe in love. just finished reading this awesome novella..
Am bound to say there is a part of Riya in each one of us…her story is that of any indian female ..growing up,teenage love and carrer dreams…her ups and down..r so real feel like r own. The three men..Ryan, Siddhartha and Rehaan..r the pictorial description of indian males…all of us crave for a Ryan but often get the other two. All in all a must read,a page turner and full entertainer. once u start u can’t keep the book before finishing it. Looking forward to many more novels of the author..well done Jaya siva rama! Canvas of dreams….the title of the novella resonates somewhere deep and eggs you to read on and explore what lies within. And it surely doesn’t disappoint, not a single page. It’s captivating and gets the reader hooked right from page one. 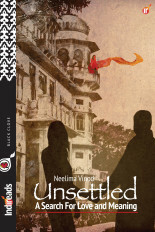 The first person account by Riya the protagonist about her life….childhood love, career ambitions, betrayal and loss are so wonderfully woven….it keeps the reader asking for more. I’m sure there is some part of Riya within us….a modern woman who knows what she wants in life but somewhere yearns for true love. The innocent teenage love of Riya and Ryan is so sweet, so real that one can easily relate to it. Ryan’s character is the ideal man a woman seeks…. a thorough gentlemen and genuine person who loves Riya passionately. The line where he tells Riya that her emotional reaction to situations is what endears her to him is so touching. Jaya has so beautifully captured human emotions in these subtle words. Shweta, Riya s best friend is her emotional anchor… in a few paragraphs Jaya has beautifully captured her character and personality. You can’t help but agree with metaphor of paani puri and love being complicated….it reflects her free spirit nd gives a touch of humor. Siddharth and Rehaan are the other two men in Riya ‘s life, but I just wanted to read more and more about Ryan and do they actually come together. Sia ‘s character adds to the element of suspense and one is hooked till the last page. A beautiful maiden attempt by Jaya…. kudos to you dear. And the fact that the author happens to be my school chum makes me so proud! Canvas of dreams is an endearing story, captivating the reader’s imagination till the last word. Definitely worth reading…. I could read it again and again !!! Say, did you hear someone call your name? Do I believe in a second chance? That there can be a life long romance? On my Canvas of Dreams a vision still hazy I raise a brush to paint some story A museum of memories or a fine Art gallery Will we find each other or stay lonely? Some books have the tendency to take you to their fictional world, you can picture the happenings, compare with the reality and in the end that books leave an imprint in our mind. I cherish those books the most and Canvas of dreams is one of them. Different tints of dreams is emphasized in this book; some are nightmares, some are the protagonist’s confusion that she is seeing in her dreams and some past trauma that keep tormenting her. You can find Riya within you; she has tasted the essence of love, betrayal, abuse and nightmares in her life. She lost her love to another woman and her husband to death. 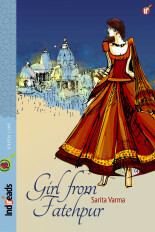 The author portrays the character of Riya marvelously, I felt connected with her. Ryan, the male protagonist is a confusing character as per Riya’s point of view. Ryan is sensitive, handsome, caring and a perfect dream boy. I also love the character of Shweta, Riya’s best friend. She always talks about reality; sometimes realities are bitter and sometimes it teach you a new lesion. Shweta’s advise is full of wisdom and she enlightens Riya through the mirror of reality. The only con I found is the story length. I wanted to read more, but it ended too soon. 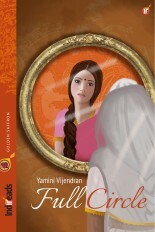 I will give four out of five stars to this novella for the story strength, characters and Jaya’s writing. I will recommend it to all those, who love to read fiction and romances. A tale of a woman’s journey of self discovery and passion. Jaya Siva Murty has created a very strong character in Riya. Written in first person, from Riya’s point of view. A reader will find herself growing as the protagonist unravels herself as the story progresses. Riya is influenced by three men in her life. Ryan, Siddharth and Rehaan. Each of the men, help her in the path of self discovery. Ryan. , her childhood love- who left her and went away without any explanation. Siddharth who married her but never understood her and Rehaan who had the same passion for art as she did. But was that enough? Here I must quote the author as she describes relationships with such a panache. Jaya has introduced her characters at an interval and thus even in a short space – it doesn’t feel cramped. Riya does not make marriage the do all and end all. Thank god for that or I might have put my reader down. I am fed up with our modern day girls thinking that marriage is a means to livelihood. We don’t think like that anymore and when our dear authors insist depicting us as our past doppelgangers, it feels that our struggle to gain our foothold has been in vain. Canvas of dreams talks about love, art, and finding one’s true self through the strength of love. I really liked the premise of the novella that life is like a canvas and we paint it with our actions and decisions. The author has tried to bring together the yearning of love and the fire to channel it towards the goals in a person’s life. Riya is still pinning for her first love, don’t we all know how strong and all permeating it can be? She tries to let go of her feeling for Ryan but all she succeeds in doing is having nightmares from the past, of her husband and even her present life. 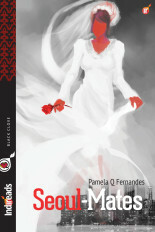 The novella is through the eyes of Riya and how she copes with life after Ryan. Both of them try to live their own life but the Canvas of Dreams would be incomplete if they do not meet. The work Riya is doing is an extension of her love and even though she has Rehaan as a distraction; he is just that and makes Riya see the truth sooner rather than later. Ryan comes across as a sweet, kind hearted and genial guy. He looks out for Riya and she complements him. They are best friends for a reason. Love coupled with friendship is hard to ignore! As I read the book I thought it would have more about painting and maybe either Riya or Ryan would be painters but turns our Rehaan is the one wielding the brush. He has a major portion of the book devoted to him, I wish there was more about Ryan. Riya used to paint but not anymore; I wonder why? Ryan is endearing and I wanted to know more about him. Overall an interesting read and the name does justice to the storyline and the writer manages to connect all the dots and the end result is very welcome. It is a pleasant read in spite of the nightmares and drama’s involved. Overall a good weekend read. I have been meaning to read this book for a long time and finally managed to open Canvas of Dreams by Jaya Siva Murty last night. I could not shut down my phone until I finished reading at 2.45 am. It was completely un-put-downable! I like the way the author has weaved the plot around dreams – nightmares actually. Riya has bad dreams every night. The 32-year-old has lost her husband Siddharth of barely a couple of years. She is an art curator who goes to Singapore on work. Most unexpectedly, she meets Ryan, the love of her life. Only it does not appear likely that they could rekindle their relationship. She returns to Mumbai to set up her own gallery, encouraged by her best friend. Artist Rehaan enters her life. To begin with he is very rude. Soon, he patches up and gets close. Is he the man for her? Riya tries to find love amidst the shattered remains of her broken life as she finds her place in the world of art. Until the end, the author keeps you guessing who Riya will end up with. Good one, Jaya Siva Murty! I must congratulate Jaya on the way she has woven the fabric of the story and how it revolves around the world of art. A lot of research has gone into the art world, but has been presented in a subtle fashion, making it a joy to read the book. One can relate to Riya’s fears so well as they are quite real. Her determination to stride ahead and make something of her life is what makes her an endearing character. What she undergoes could be possible in just anyone’s life. Quite impressed with the way the characters have been etched. I can’t think of a better title than CANVAS OF DREAMS for this book. It’s ‘oh so perfect’! Kudos Jaya Siva Murty on your maiden venture – looking forward to reading more of your work! Jaya’s Canvas of Dreams is a beautiful novella that takes us into Riya’s life and her dreams. Riya meets her ex boyfriend Ryan in Singapore. Torn by his betrayal and her own pathetic love towards him, Riya strives to maintain a semblance of balance in her life. Hurt by an abusive marriage, she shies away from Ryan but is unable to get him out of her head. I loved the way Jaya has weaved Riya’s dreams as a means to tell her past to us. It adds more impact to the story and we get to learn about her guilt and remorse through them. At a point, I wondered whether there would be a happy resolution to this story but Jaya doesn’t disappoint. She gives a lovely passionate ending. Loved the story. Looking forward to more novellas from you. Life is a canvas on which love splashes many a color. Some colors make you happy, some dull, and some you wish you hadn’t seen at all. The canvas keeps changing until that one perfect color comes up and fills your full life with its radiance. Canvas of Dreams is the story of one such life, of the lead lady, who has seen colors of betrayal, abuse and apathy in her life. She has been strong enough to carry herself through all this, but deep within her there lies a longing for the color of love. Will this color decorate her canvas or will it not? Written beautifully, Jaya’s novella takes us through the art scene in Mumbai and Singapore. She seamlessly weaves through the past and present and handles the moments of intimacy with equal ease. It is refreshing to see a friend like Shweta; who would not wish to have such a friend. A wonderful tale that leaves you with a smile at the end! Independent minded heroines are not often found in romances. Canvas of Dreams scores in its depiction of a thinking heroine, one who knows her mind, and is not scared to change the path her life is taking when she senses she is being led astray. Jaya Siva Murty ably handles the emotional turmoils in which her heroine, Riya, finds herself, helping her over the various hurdles that life throws her way and ensuring that she reaches a safe haven, visibly empowered, after all the storms. A gripping, emotional read. I salute Jaya for tackling some serious issues using the template of a romance novel. A tale of empowerment and the triumph of human spirit, you will not put down this novella. Love is such a complex feeling and Jay captures all the nuances of this great emotion in a gripping tale. great read! 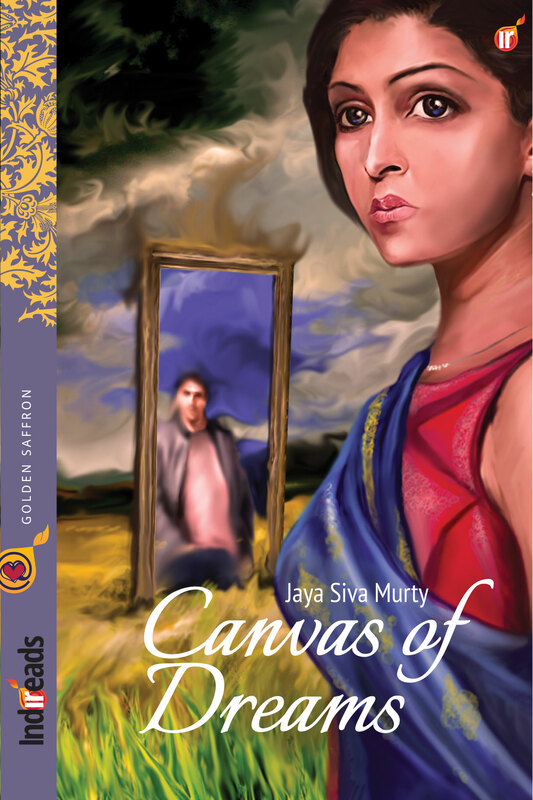 Jaya Siva Murthy’s Canvas of Dreams is a heartwarming story of a woman fleeing her nightmarish past while trying to build the life she once dreamt of. Ria runs into the love of her life, her ex-boyfriend Ryan at Singapore, where she has gone for a business trip. She knows that she still loves him but she cannot act on her feelings as Ryan is married and has a family. Back in Mumbai, Ria is helped by her best friend Shweta to attempt to confront her past, the reason for her recurring nightmares. This is also when Rehaan, an artist comes into her life, a man who Ria might choose to spend the rest of her life with even though her heart is still elsewhere. Ria’s choices are skillfully narrated through a series of dreams. The nature and tone of which correspond to her life. The author Jaya Siva Murthy handles the themes of romance, marital abuse and empowerment deftly. A very-well written novella, the Canvas Of Dreams is sure to touch the readers hearts. Captivating! The classy portrayal of the subtle yet passionate romance is truly delightful. Not a moment of boredom. A real page turner! Despite being plagued by nightmares, it is heartening to see Riya emerge a fighter in her own way. I thoroughly enjoyed reading this book and did not want to put it down till the very end. This book has drama, suspense and hooks you till the very end. I recommend it as an engaging read for anyone who seeks a gripping love story. Riya is a contemporary Indian woman with a past…one that includes love, betrayal, murder and forgiveness. As the first person narrator and character with reoccurring demons, she only unveils glimpses of what she wants us to see, while leaving the best to last.